During the "Mock Wedding" held at Day by Day on Tuesday. 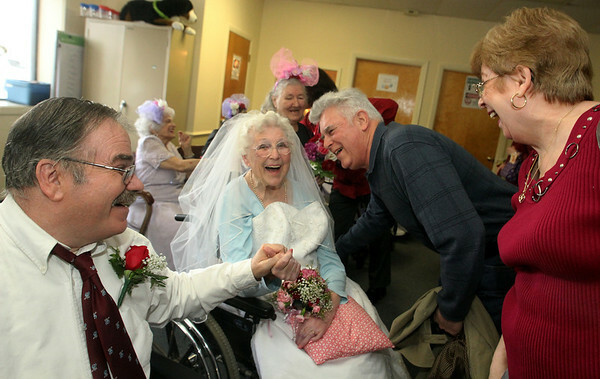 Al and his wife Rosi Hall, at right, of Danvers, greet Al's mother, Alyce Brayman, the "Bride" and Bill Grandmont, left, the "Groom," after the ceremony. Al asked his mom, "Do I have to call him Dad?"